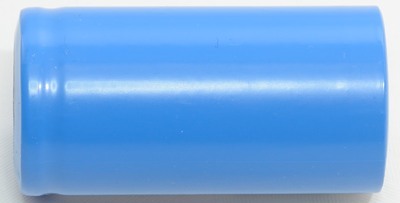 This battery is a short battery, i.e. 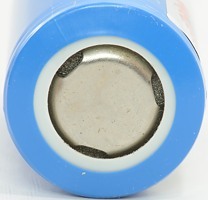 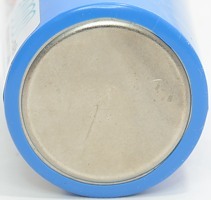 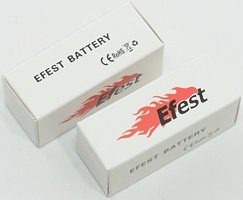 it is only 50 mm long, compared to the usual 65 mm long, compared to the longer types, this battery has a good capacity. 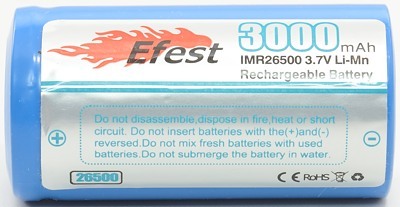 The battery is not good at high current, it works best at 3A and below. 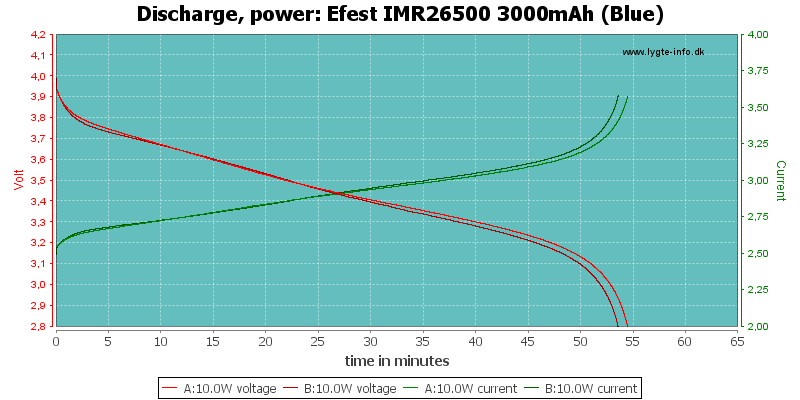 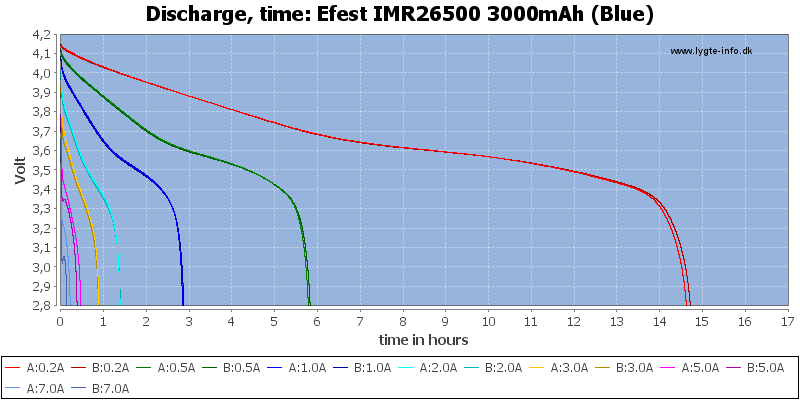 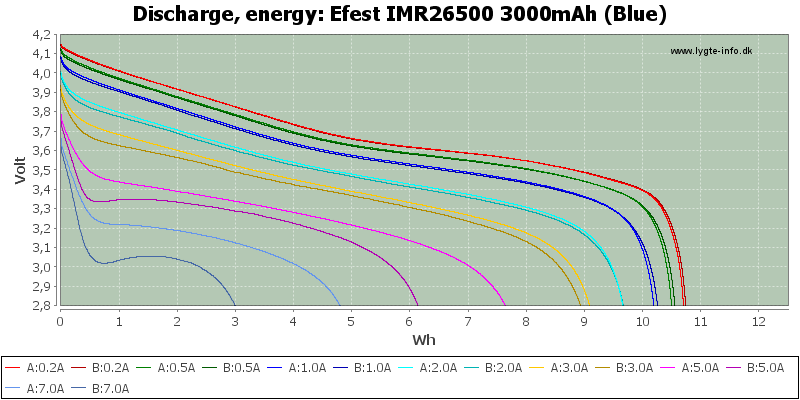 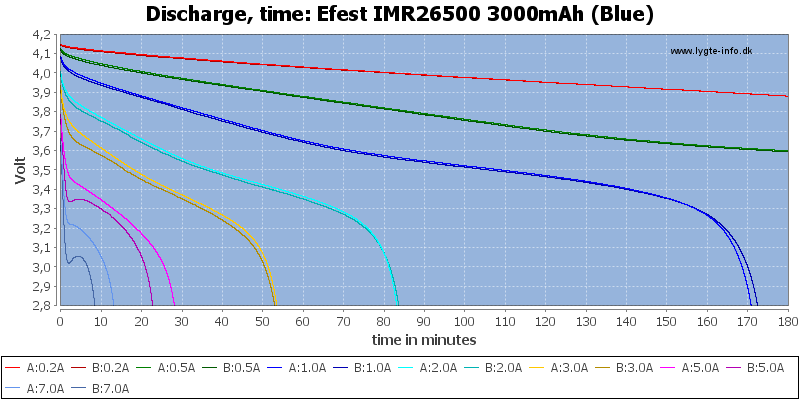 The capacity of this battery is good for a 26500 battery, but it is missing the usual IMR high current capabilities. 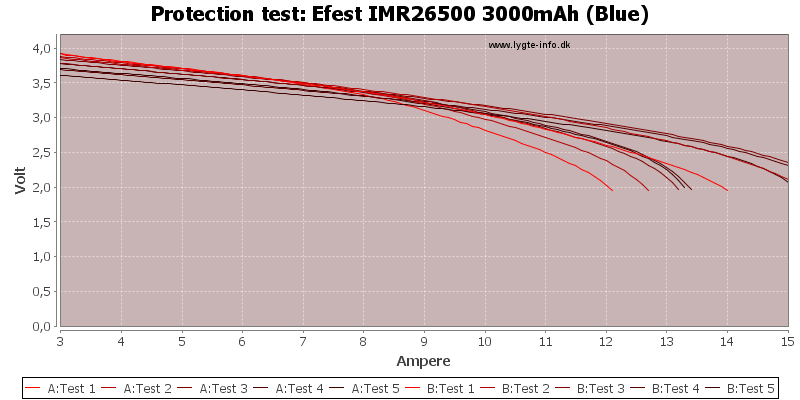 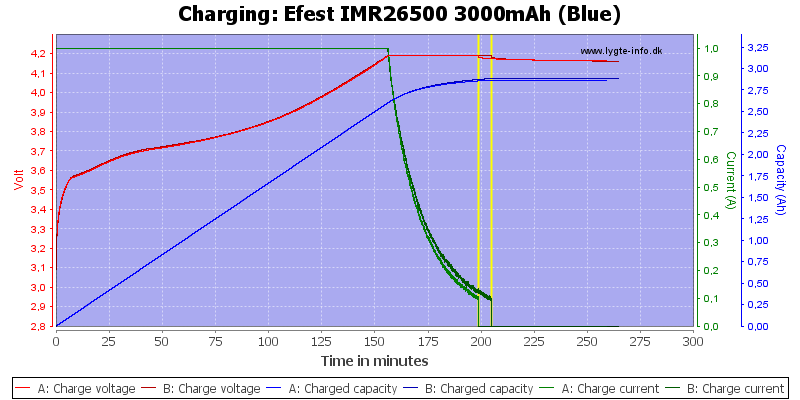 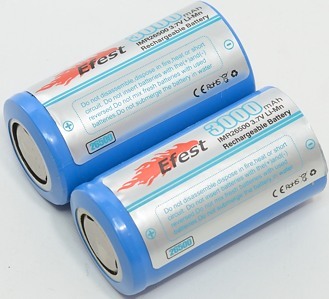 Generally the performance of this battery is close to a 3100mAh 18650 battery, except it is worse at high current. 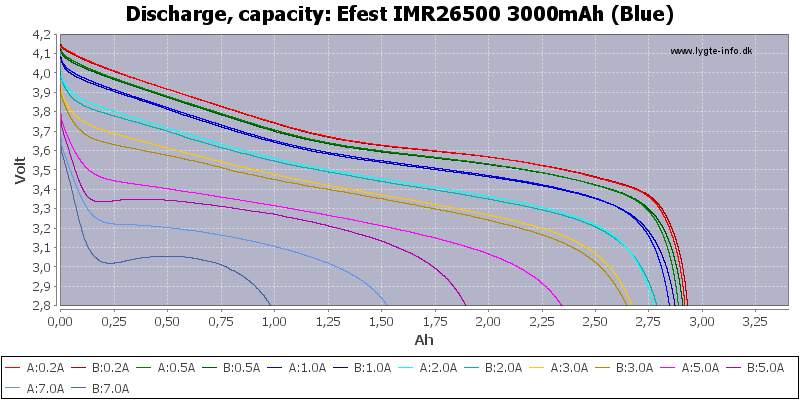 This makes the battery best for short designs with a single battery and not much more than 3A current draw.